Opened in 1935, Tsukiji was for many years known only to its vendors and the food industry, but it gained worldwide reknown in recent decades and its tuna auctions even hit the headlines, with one fish going for a record $1.8 million at the market's New Year's auction in 2013. HUNDREDS of fishmongers on forklifts and trucks rose before dawn in Tokyo to join a mammoth exodus of vendors as the world-famous Tsukiji market relocates to a new site. Tokyo Governor Yuriko Koike, who has championed the move, has been forced to repeatedly defend Toyosu after the discovery of soil contamination on the site, formerly home to a gas plant. At Tsukiji's last New Year's sale, one buyer put down $320,000, still far short of the record $1.8 million paid for a bluefin in 2013. "I'm nearly crying", said Hisao Ishii, a retired seafood auctioneer who was back at the market for its final day. "Today is a sad day of goodbyes". 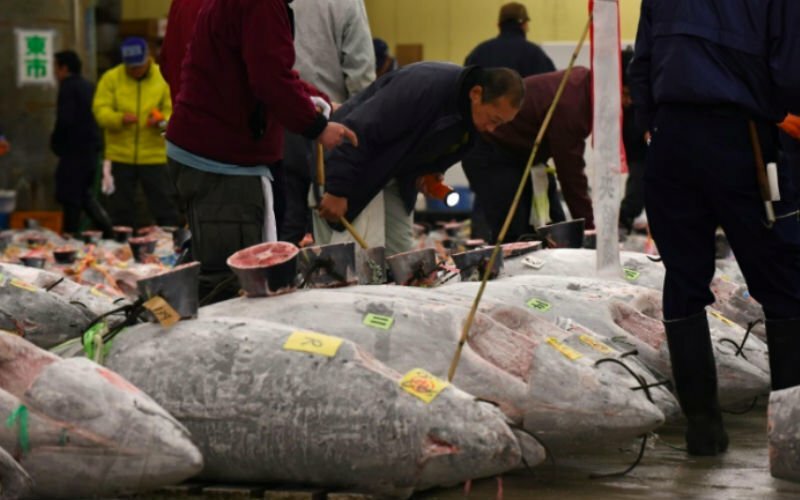 The most expensive fish - a 162-kg (357.15 lb) tuna - sold for 4.3 million yen ($37,818) at the early morning auction, Kyodo News said. Each New Year's Day, high-profile buyers vied to pay hundreds of thousands of dollars for the top tuna at the first auction of the year. Takeshi Yoshida, a fish wholesaler, said Tsukiji had left "its mark on history" but it was time to "pass the baton". The origin of the market dates back to 1657, when the Tokugawa Shogunate set up a fish market near Sumida River on land reclaimed from Tokyo Bay and called it Tsukiji, which literally means "reclaimed land". Trucks began arriving at the new site at 8 AM. He acknowledged the need for a move but said he was torn between "hopes and fears" about the new site. The so-called outer market at Tsukiji - brick-and-mortar shops selling everything from seaweed to coffee - will remain after the move. The old market, which covers an area of more than 230,000 square meters (57 acres), will be used as a transport depot for the 2020 Tokyo Olympics, and possibly turned into a culinary theme park after that.